Once again, Vivian and Ed Merrin are sponsoring The New York Botanical Garden's Waterlily Concert Series. This year's series, which will have a Spanish theme as part of the Garden's current exhibition Spanish Paradise: Gardens of the Alhambra, will be held on the evenings of August 4, 11, and 18. The waterlilies and lotus collection (in the conservatory courtyard) and Spanish Paradise (in the conservatory) are on view from 6 – 7 p.m., and the concerts on the conservatory lawn begin at 7 p.m.
Visit the NYBG's official website for more information about the Waterlily Concert Series, or for directions to the venue. 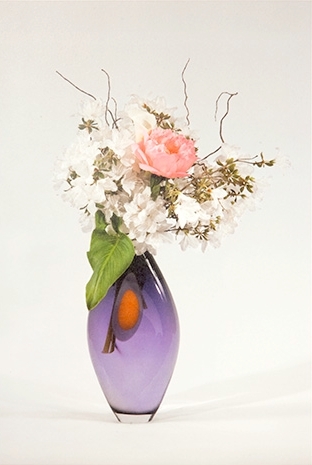 Ed Merrin will hold a book signing of "Perfection of the Finite", his book on flower arrangements at each of the three concerts. All of the profits will go to the New York Botanic Gardens, the publisher. "We hope that you will be able to join us for one or all of these wonderful evenings at The New York Botanical Garden," — Ed Merrin. Duo LiveOak will perform medieval and classical Spanish music that captures the essence of the Alhambra. Dances choreographed by Tricia Brouk will translate the sound of the Spanish guitar into an enjoyable visual presentation. Acclaimed group Flamenco Inside/Out will perform various songs and dances that span traditional flamenco to contemporary jazz. While there will be traditional flamenco performances, the concert will be focused on the music. International performer Jorge Caballero, the youngest person to ever win the Naumburg International Competition, will lead a spellbinding Spanish guitar set. Nice, interesting! Should visit soon! Great! Pitty I am not in NYC now! Thanks to the Merrins for a fabulous evening of music and dance. I do not always enjoy playing outside (as a classical musician), but this was a fabulous event with nice, appreciative and large audience, great food trucks, and the grounds and special exhibit were amazing. Thanks very much for having us play. We so enjoyed meeting you after our concert at the Waterlily Series. Thank you for supporting these wonderful events. I was also excited to read about your passion for ancient art, which I share.